For scheduling purposes, you must sign up at least one week in advance. You will be in your own child(ren)'s classroom for 30 minutes per classroom, and will spend time in other classrooms as well. If you have not yet purchased a WatchDOGS T-Shirt, we have extras in the office that you can borrow. You will get a free school lunch that day, but are welcome to bring your own if you'd prefer. 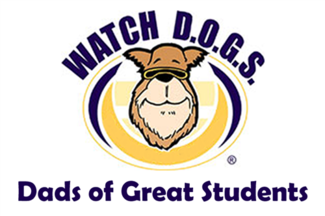 Please note: So that all dads who would like to be a WatchDOG can have a turn, please do not sign up for more than two days for the year. Please indicate whether you would like an AM (8:00-1:00), PM (11:00-4:00-no Wed) or FULL DAY (8:00-4:00) Schedule.